FI Foresight is committed to making it easy for you to choose the research options which best suit your requirements from the full range of services we offer. One way to do this is to download our new Research Planner – a useful tool designed to facilitate forward planning and show what market data is available. 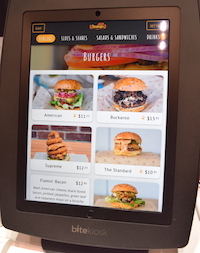 Back from attending the world's largest foodservice trade event - the 2018 National Restaurant Association Show in Chicago - FI Foresight Director Rod Fowler reports on the technological innovations on display. From mobile apps utilising Artificial Intelligence and interactive POS systems to facial recognition software, digital menu inputs and more, there was plenty to see. While most of this tech has yet to penetrate the mainstream marketplace, many of the innovations on show will soon be making their way to our shores, if they're not already here. 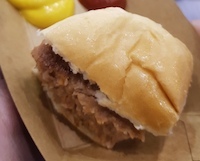 The rise in awareness of environmental sustainability issues, the desire of many consumers to reduce the amount of saturated fat in their diets, and the need for foodservice operators to keep their ingredients costs down are all factors driving a new approach to plant-based proteins – as exemplified by the wide range on display at the 2018 National Restaurant Association Show. Certainly there is proven marketplace potential for such products – and not just in the US. Make sure that you login regularly to keep up to date. Not a subscriber? Contact us to find out how to stay informed with the latest Foodservice Market Research. If you’re looking to stay abreast of the latest foodmarket insights, analysis and information, there’s a way of doing so which is low-cost, informal, friendly and personal … and that’s by attending FI Foresight’s monthly Foodservice Business Leaders Mentoring Group. Attendance is open to all interested food industry professionals and not only does the Mentoring Group give you the opportunity to glean valuable information from our latest market research reports – it’s also the ideal occasion to informally network with others in your industry and share insights. You can register now to attend the next session. There is a Robot in My Kitchen! is regularly updated with articles about robotics in Foodservice and related areas.